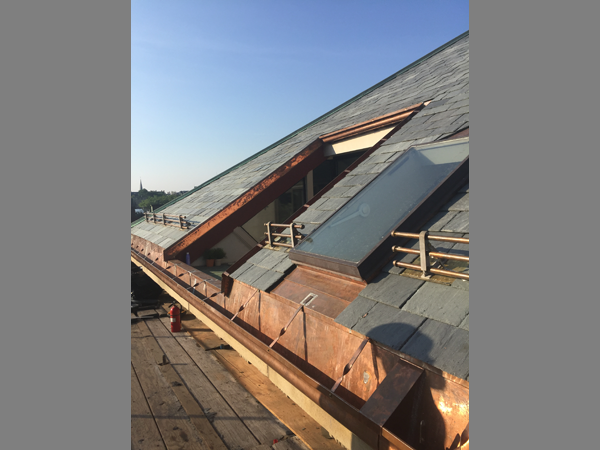 Prime Contractor: John Henry Roofing, Inc. 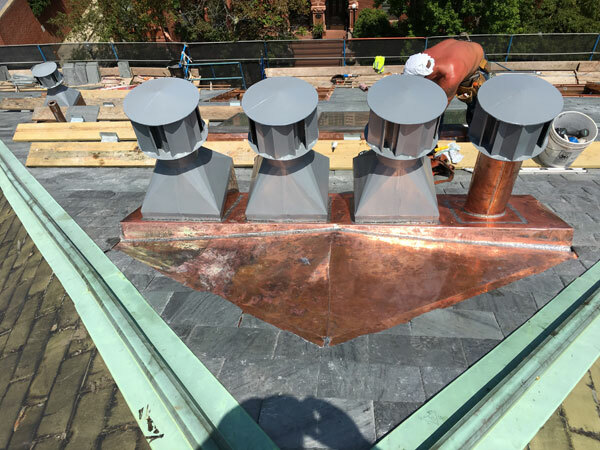 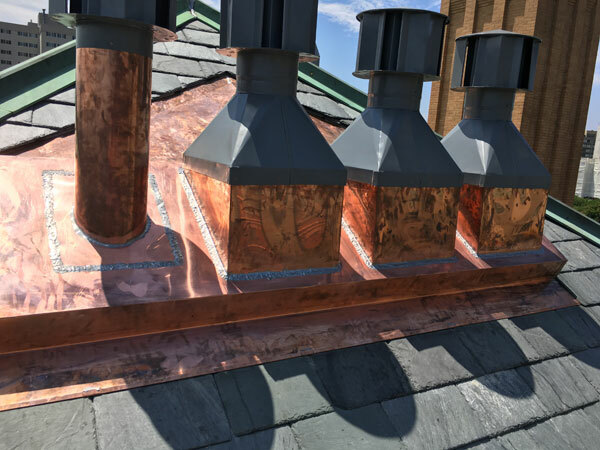 Features: Work completed at the East Elevation: Slate roofing, copper gutters and valleys, copper skylight flashing brass snow rails, copper flashing around roof vents. 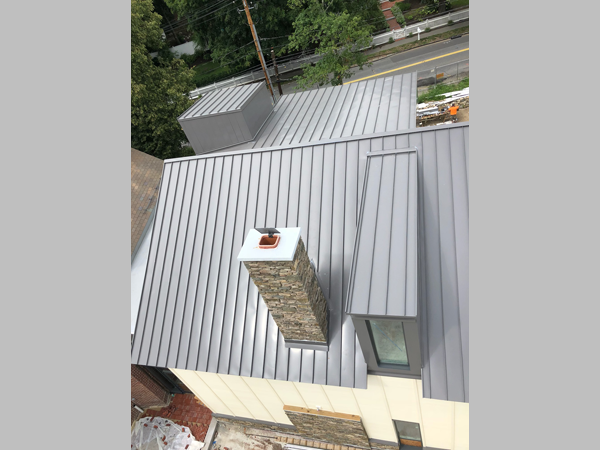 Prime Contractor: John Henry a Roofing, Inc. 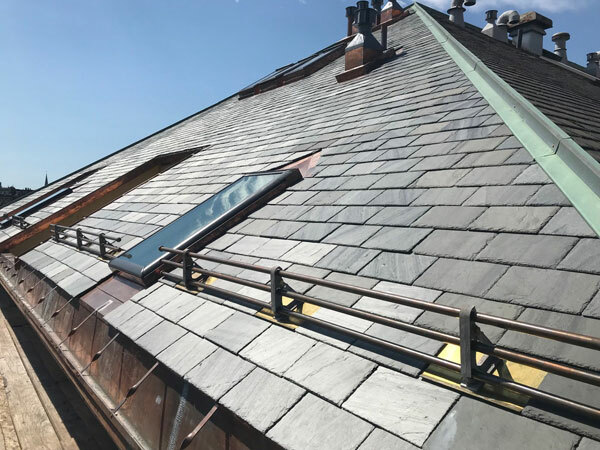 Features: Slate Roofing work completed July 2017 on this Historic Schoolhouse Condos building in the south end. 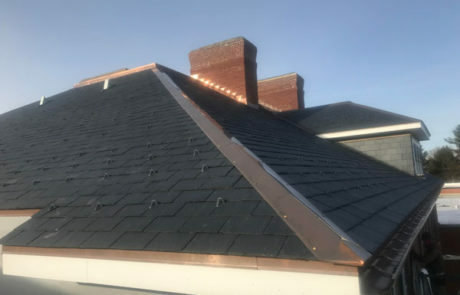 Replace approximately 1200 sq ft of slate roofing in select areas , new custom 20 oz copper gutters, valleys, skylight flashings and brass/ copper snow rails. 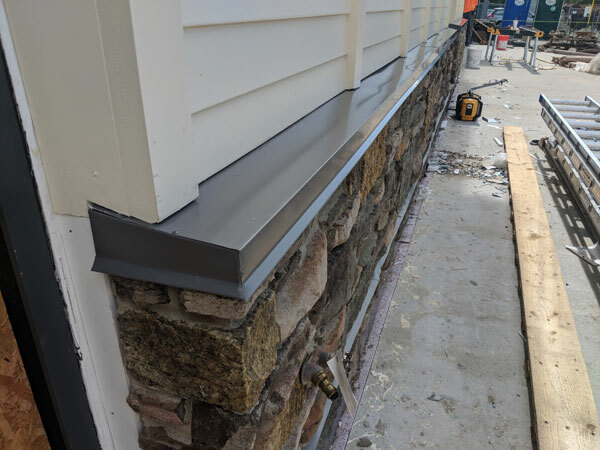 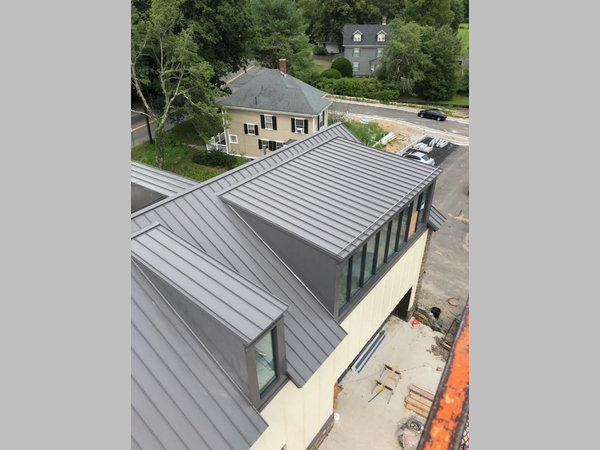 We’re proud to feature this Peterson aluminum standing seam metal roof installation at the Concord Museum which is nearing completion. 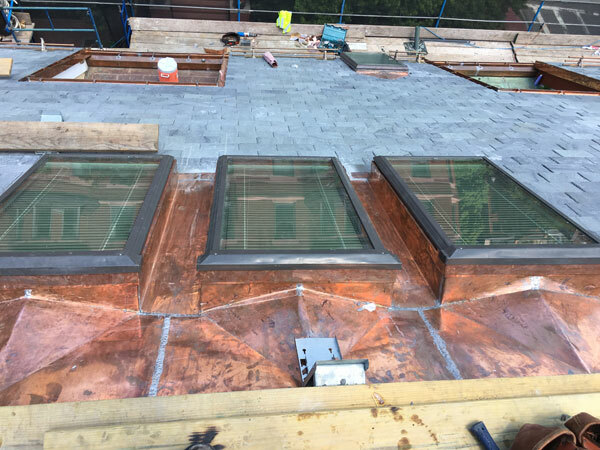 Foreman Josh King and the rest of our sheet metal team have done an outstanding job! 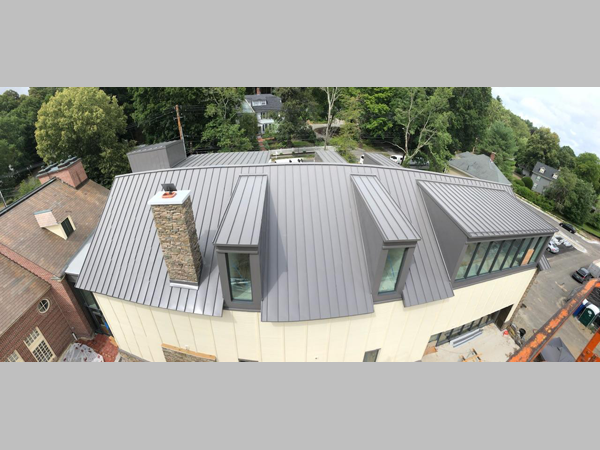 Get a quote for roofing services. 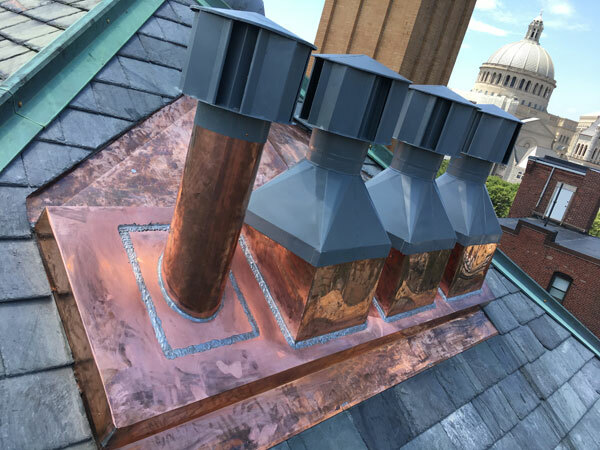 Get a quote for copper or galvanized pans.